You can continue to use Teams during a meeting. Just click outside of the meeting, and you can check on what's going on in other channels or catch up on your messages. Whenever you click away from a meeting, it becomes a smaller window at the top of the app. Click that window to return to your meeting in an instant if you need to. 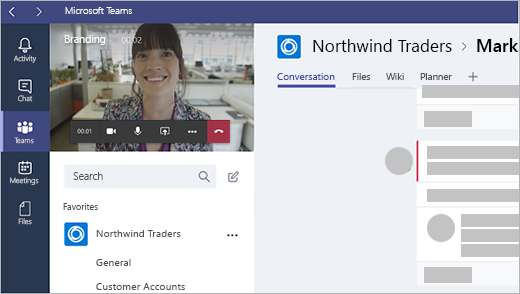 Tap the meeting to see the meeting header where you can return to the team channel or chat, start a chat with participants, or add people from your team to the meeting.